The holidays are a great time to give, but your donation doesn’t have to be limited to food drives, loose change in a kettle, or time in a soup kitchen. Your holiday donation can be as distinct as you; it can reflect your personal interests, passions, or community concerns. Denver Pet Partners (DPP) aspires to improve human health and well-being through the human-animal bond. The program provides service and support for individuals with developmental disabilities to facilitate their inclusion into community life. They do this with volunteer handler-animal therapy in a variety of goal-directed programs. Animal service organizations like Denver Pet Partners and the Denver Dumb Friends League can always use a helping hand (or paw) over the holidays. DPP offers several ways to donate. You can make a financial contribution online, or use the organization’s link for Amazon.com’s Smile Program (every time you shop, Amazon will donate a percentage of the sale to DPP). The Dumb Friends League (DFL) isn’t what it sounds like: It’s actually the largest community-based animal welfare organization in the Rocky Mountain region, and it’s been around for more than 100 years. In 2017, DFL adopted, reunited, or transferred to placement partners 19,413 pets and 284 horses. 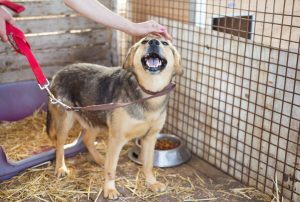 In addition to adoption services, DFL investigates cases of neglect or abuse, offers spay and neuter programs, and works with the public to educate Coloradans about animals and their needs. There are more than a dozen ways to donate to this essential organization headquartered in Denver, from vehicle donations to tribute/memorial giving to a one-time gift for the holidays. TLC Meals on Wheels is driving away hunger in Denver’s south-metro neighborhoods. Every year, thousands of seniors struggle to buy and prepare healthy meals. Since 1968, TLC has been delivering meals and providing daily wellness checks for Denver seniors. Toys for Tots has long helped brighten Christmases for underprivileged children with new toys. During the holidays, these meals and social interactions are even more important, as many seniors are unable to travel and won’t enjoy a family visit. Donate healthy, low-sodium foods to their Centennial pantry, become a volunteer, or give financially to this critical community organization. The Museum of Contemporary Art Denver is fully funded by community support. If you’ve ever enjoyed an exhibit or attended a world-class event at MCA, why not showcase your support with a donation? The Art Students League of Denver provides inclusive, affordable arts programs for Denver-area youth and adults. MCA Denver’s annual fund provides critical support for exhibitions, public events, and youth and family programs. Give a little, or give a lot—whatever you give will be put to creative use. 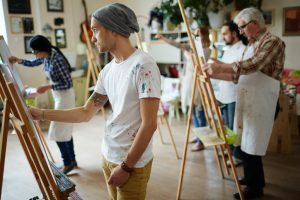 The Art Students League of Denver is committed to community inclusiveness and guiding individuals of all abilities to reach their highest potential. The school allows students to interact and explore with professional artists on a wide selection of media. A gift to the Art Students League will allow the school to continue its legacy of providing inclusive and affordable arts programs to youth and adults in our community. There are several ways to donate: make an individual donation; buy tickets to one of their events; or sponsor a scholarship program. Food Bank of the Rockies serves 30 counties in Colorado and the entire state of Wyoming. Every dollar donated to the Food Bank of the Rockies can provide a healthy meal for a family of four. Just one dollar provides a family of four a healthy meal; plus, time to connect around the table. Food Bank of the Rockies recommends hosting a virtual food drive, which raises money for pantry essentials the food bank procures at wholesale prices; or, consider volunteering in the kitchen this holiday season. The Park People is a local 501(c)(3) dedicated to enhancing Denver’s parks, recreation resources, open spaces, and urban forests. This organization has raised millions of dollars to restore important infrastructure; they’ve built new city playgrounds; planted more than 50,000 trees in Denver neighborhoods, and much more. There are several ways to get involved including: cash donations, volunteering opportunities, or offer in-kind, professional services such as photography or videography to help document the organization’s focused mission. As you can see, there’s no shortage of ways to give locally this holiday season. We hope you find a charity that speaks to you personally, and we hope you enjoy making a difference in our community in whatever way you can. From everyone at The Frickey Law Firm, we wish you a safe and memorable holiday, and a happy New Year!